The Polar pulse sensor OH1 is the first visual pulse sensor, which can be worn either on the forearm or on the upper arm. 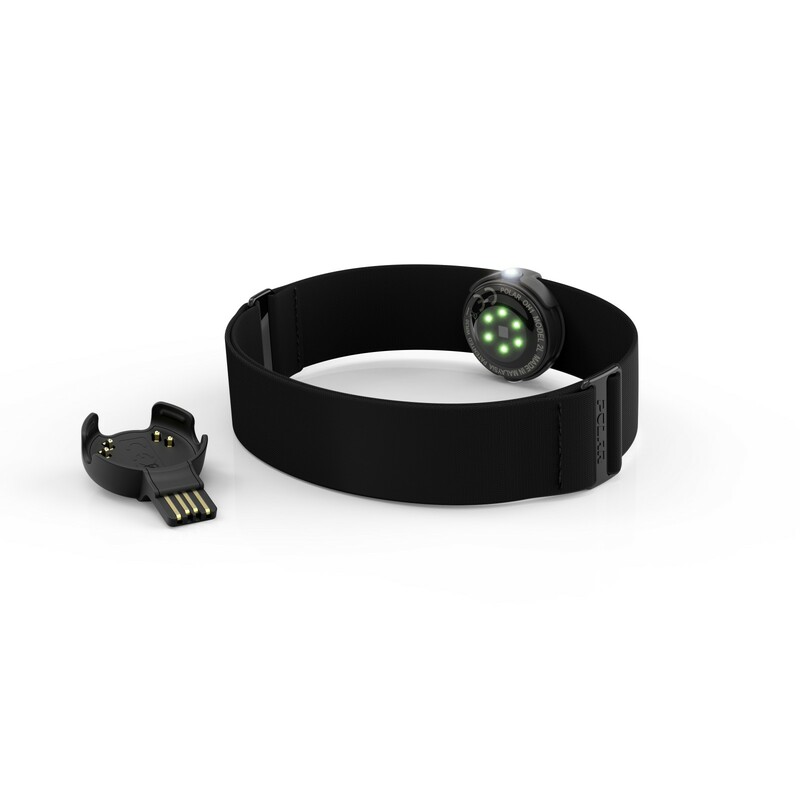 The Polar pulse sensor OH1 is a visual pulse sensor on a flexible wristband, which presents an alternative to the training with a chest strap. Here, the OH1 is compatible with all Bluetooth sport watches, fitness trackers, adn bike computers of Polar. By means of a high-quality, visual sensor with six LEDs, it measures the pulse directly on the forearm or the upper arm and guarantees a flexible as well as easy use. The Polar pulse sensor OH1 weighs just 26 gramme! The visual pulse measuring allows you to find out how hard you body really works during the training and how the training can be adjusted to the individual achieving of your targets. Due to the light and size adjustable textile wristband, it provides a comfortable wearing experience on the arm. Via the lateral button, the device is started in the training mode. Here, an LED signal informs about the status of the sensor (for instance battery level). The battery life of the Polar pulse sensor OH1 lasts up to 12 hours. In the integrated memory, up to 200 training hours can be recorded without additional products and then be transmitted. The training data are transmitted via Bluetooth to the smartphone or the sport watch and can then be clearly analysed in the Polar App. Besides the Polar Beat, Flow or Club App, the following apps are additionally available: Endomondo, Cyclemeter, MampmyRun, Runmeter, Strava, Wahoo Fitness, Wahoo Runfit, Fit Trip, Runtastic, Apple Health.